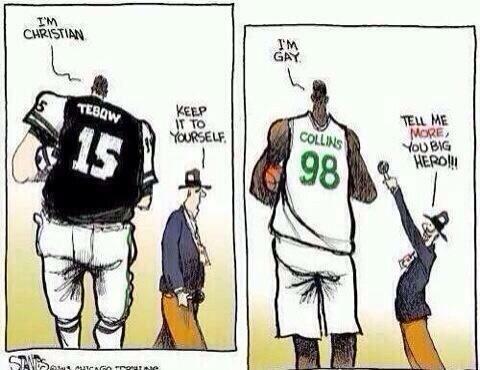 FSU Linebacker: Y'all praise Michael Sam for being gay but y'all mocked Tim Tebow for being a Christian. FSU Linebacker: Y’all praise Michael Sam for being gay but y’all mocked Tim Tebow for being a Christian. Florida State linebacker DeMarcus Walker tweeted this out last night after Missouri standout Michael Sam was picked in the NFL draft.